Cursed is my first book by Jennifer L. Armentrout. I've been told that this isn't one of her best, and yet I'm impressed. So I really look forward to picking up books in her other series. Ember was killed in a car crash, which also killed her dad. But her younger sister Olivia, who has a very special gift, brought her back to life. Now, Ember's touch is toxic, a touch of her skin can kill any human, animal, plant almost instantly. So she makes sure she's always covered up, wearing gloves and long sleeves, which also hide the scars on her arms. At school, she's now known as a freak, with Adam, being her only friend. Ever since the accident, her mother has been practically catatonic and Ember has had to take over the care of Olivia, and look after the home and finances. Soon after meeting the mysterious Hayden at the library, she's attacked in her home and wakes up in a strange house. Olivia and her mother are also there. And so is Hayden. Him, and all the other residents of the house are also gifted. Like I said earlier, this is my first JLA book, but it definitely won't be my last. Curse had perfect pace, fantastic characters, a brilliant storyline and an appealing writing style. Ember was lovely. She did a really great job of taking care of her sister and herself for the last couple of years and she was so devoted to Olivia. And yet, she thought that she was bad and evil and had no soul. I enjoyed the relationship she had with Hayden and I thought some of their earlier "moments" together were really sweet. There was an insta love kind of feeling from Hayden but I felt it played out well, as he'd been watching Ember for a long time and felt like he knew her. The rest of the gifteds in the house don't like Ember, and think Jonathan Cromwell, the head of the house, and Mayor of the town, should send her away before she kills someone and exposes them. I felt that Ember dealt with it all admirably considering the state of mind she was already in, having woken up in a strange house with her old life completely gone, showing her strength of character. Unfortunately, I did find Cursed quite predictable as I managed to work out the bad guy, his gift and his methods almost immediately. Cursed ended nicely, with no cliffhanger, thank goodness. I'm not sure if there's going to be a sequel, but if there is, I'll definitely be picking it up. Thanks to Spencer Hill Press for providing me with a copy of this book for review. I haven't read any JLA, but I have heard as well that this isn't as good. I've seen a lot of mixed opinions on Ember, so I'm kinda confused at the moment, but I'm glad you liked her. It's great you found this really well-rounded overall. Wonderful review, Suzanne! A part of me wants to read this because I've grown to like JLA's books (usually second ones in the series), but another part of me is kind of upset that she just used yet another concept that isn't really hers. HAlf-Blood is so similar to Vampire Academy that it's not even funny, and Obsidian has far too many similarities with Twilight, and now this and Shatter Me. It's true that her books can be quite addictive, though, and they are always very fun, so I'll probably read it for that alone. 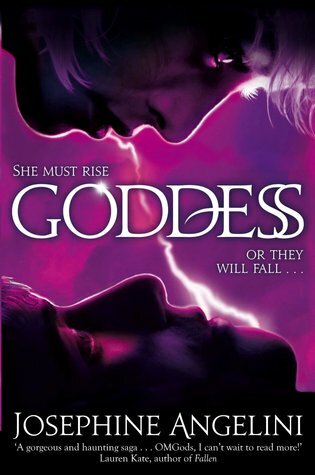 Second, I have this book in my TBR list >.< I haven't read any JLArmentrout books either, so idk which'll be my first yet xD LOL I'm glad this book was worth the read for you Suzanne, and I look forward to reading it :) Great review! I've been hearing a lot of mixed reviews on this one so I've been hesitant to pick it up. It sounds like a good read but not up to par with her other stuff or so I hear. I wonder if this one being your first by her made you have enjoy it more than the others. I definitely recommend her other books she's fabulous! Awesome Review :) You should definitely pick up her other series, because they are amazing! I liked how Ember took care of her sister also. She took on a big responsibility from an early age. Glad you overall liked this one Suzanne :) !! I actually ordered a copy of this one today and I can't wait to receive it. YOU HAVE TO READ the Covenant and the Luxen series !!!! I'm glad you liked this one, Suzanne. I just finished this today and wasn't too happy with it because I felt like the plot and background details could have been worked out better. The writing was okay though. Since you enjoyed this, you should definitely give The Covenant series a try and get caught up there. I can't wait for Deity! I enjoyed this one too but this authors has wrote better books like Covenant series! =) Great review!